Computer-based analyses of speech transcripts obtained from interviews with at-risk youths were able to predict which youths would later develop psy-chosis within two years, with an accuracy of up to 83 percent. In two independent cohorts of young people at risk for psychosis, a disturbance in the flow of meaning when speaking, other-wise known as being tangential or going off track, predicted who would later develop psychosis. This same computer-based language classifier was able to predict psychosis onset in a second at-risk cohort with 79 percent accuracy, and could discriminate speech from individuals with psy-chosis from healthy individuals with an accuracy of 72 percent. Taken together, the results from this study suggest that this technology has the potential to improve prediction of psychosis and other disorders. The results of the study will be published online in World Psychiatry on January 22. Disorganized thinking, a symptom of psychosis, is regularly assessed using interview-based clinical ratings of speech. It is characterized by tangential language, looseness of associations, and reduced complexity of speech. While it can be severe enough to impair effective communi-cation, language disturbance is more typically a subtle but persistent feature that can be present prior to the onset of psychosis in young people at risk. This study examined transcripts from interviews with at-risk young people in two different co-horts -- one in New York City with 34 participants and one in Los Angeles with 59 participants -- for whom psychosis onset within the next two years was known. The transcripts were analyzed by computer using automated natural language processing methods to determine differences in speech between those who developed psychosis and those who did not. "The results of this study are exciting because this technology has the potential to improve pre-diction of psychosis and ultimately help us prevent psychosis by helping researchers develop re-mediation and training strategies that target the cognitive deficits that may underlie language dis-turbance," said the study&apos;s first author, Cheryl Corcoran, MD, Associate Professor of Psychiatry, Program Leader in Psychosis Risk, Icahn School of Medicine at Mount Sinai. "More broadly, language and behavior are the primary sources of data for psychiatrists to diag-nose and treat mental disorders," said Dr. Corcoran. "There are now novel computerized methods to characterize complex behaviors such as language. 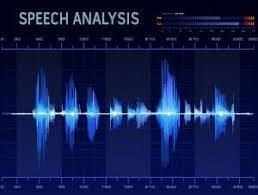 Speech is easy to collect and inexpensive to analyze using computer-based analysis. This technology could be applied across psychiatry, and plausibly in other fields of medicine." Other institutions involved in the study include the IBM T.J. Watson Research Center; the Uni-versity of Buenos Aires, Argentina; the University of California, Los Angeles; and the New York State Psychiatric Institute at Columbia University Medical Center. This research was supported by grants from the U.S. National Institute of Mental Health (R01 MH 107558; R03 MH 108933, the New York State Office of Mental Health, and a NAR-SAD/BBRF Young Investigator Award and Miller Family Term Chair to C.E. Bearden.